Between the pun-derful monsters of the day and the surprisingly deep references behind major Sailor Moon villains, names are a pretty big deal in the Sailor Moon universe. And, unsurprisingly, that continues to ring true in the second movie in the series. This story, dating back to the 10th century, is about an old bamboo cutter who finds a baby girl inside a shining stalk of bamboo. Like we’d all do in the same situation, he decides to take her home and raise her with his wife, and they two name her Kaguya-hime (Princess Kaguya). 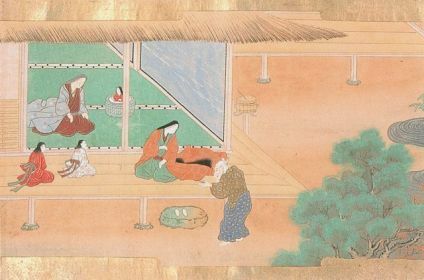 Kaguya, it seems, possesses magical powers and gold nuggets start to appear in every bamboo stalk the old man cuts down. The family grows wealthy, and Kaguya grows into a stunningly beautiful young woman. Which, of course, means that something bad is about to happen. 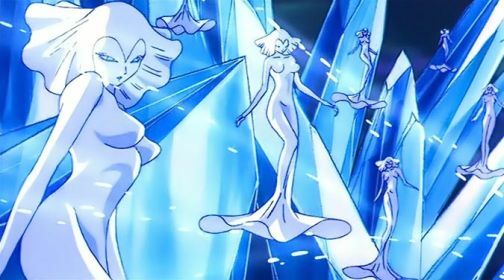 Read also: Why Were Both Queen Beryl and Luna Voiced by Keiko Han? Long story short, a lot of princes tried to marry her — she said no. The Emperor of Japan tried to marry her, she said no. 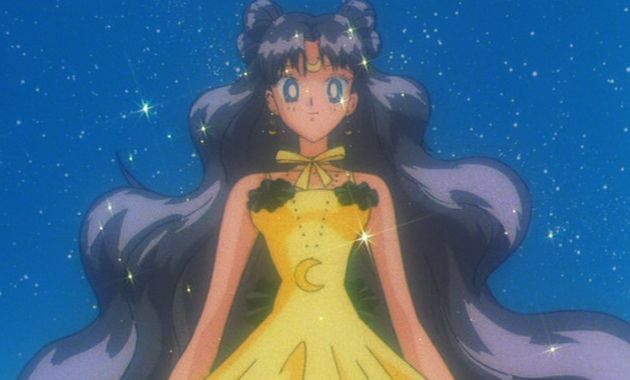 Finally, we learn that she’s actually from the Moon and that she had only been sent down to the Earth for a short while as punishment for having broken some law of the Moon, and it’s about time that she returns. An envoy from the Moon comes, they take her home against many objections, people cry, and life goes on. The end. 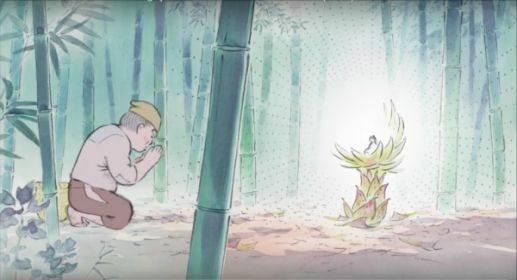 If this all sounds very familiar to you, that may be because you’ve already seen Studio Ghibli’s adaptation (or any of the other 50+ lower budget versions) of this story creatively titled The Tale of the Princess Kaguya.2 And if you haven’t seen it, you should. So who is the real Kaguya? Princess Snow Kaguya — the movie’s villain — is the obvious pick for our Kaguya reference, but I’m not so sure about that. Since the villain actually plays a relatively minor role in this film, and doesn’t really have anything to do with Kaguya other than her name, I think we can leave her out of the discussion. Another strong theory is that Kakeru’s Kaguya is actually Luna. You know, person from the Moon that is discovered in an unexpected form (bamboo, cat… practically the same thing! ), quickly becomes a beautiful young woman, but her time on Earth (= as a human) is short-lived. Interesting though this may be, and certainly a compelling interpretation, I don’t exactly think it’s quite what Director Shibata or Ms. Takeuchi had in mind. In fact, I think that our real “Princess Kaguya” is much more obvious, though hidden in plain sight. The hint for who (I believe) the “real” Kaguya is can be found in the title of the manga version, Princess Kaguya’s Lover.4 Though Luna is in love with Kakeru, the feeling is hardly mutual and it’s more of an infatuation than anything else. 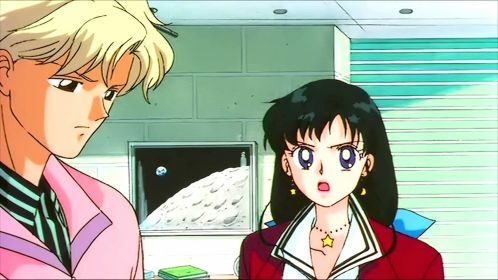 His actual lover, which Luna ultimately learns to accept, is Himeko Nayotake, an up-and-coming astronaut who’s about to be the youngest woman — person! — in space at the age of 22. When taken in context of the fact that Himeko and Kaguya have practically identical names (chopping out the “Kaguya” part and adding -ko at the end) and that the story strongly features the relationship between Kakeru and Himeko, I’d say that this makes her our best bet for who the real Kaguya is in the Sailor Moon S movie. Of course, that’s just my take on the situation. What’s yours? Was I too quick to dismiss Luna from this whole thing, considering she plays a major role in the movie? Or do you think that Princess Snow Kaguya had more going for her than I gave her credit? I’d love to hear your thoughts! 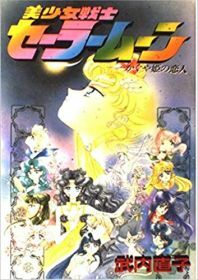 ← What Were Director Shibata’s Inspirations for the Sailor Moon S Movie (Part 2)? If I remember correctly, “Princess Snow Kaguya” wasn’t actually the villain’s name. She never reveals her real name; in the scene where she appears in front of Kakeru, he mistakes her for Princess Kaguya and she something to the effect of “Princess Kaguya…huh I like that” and that’s kinda how she gets that name (been a while so maybe my collection’s fuzzy.) But I feel that rules her out as being the real Kaguya for sure. I think the 3 of them combined are the princess. The villain regarding the vanished (bad) part. Himeko regarding the uniqueness/coolness/getting the attention from the world part and getting the actual name, lol. Luna being the short lived presence and actually being from the moon part. And the three of them were on the space, so… I rest my case. Pretty cool story. I love that there are actually quite a few red herrings for the identity of Princess Kaguya in this story! I believe they’re actually intentional as well. (I even think at one point the viewer is meant to wonder if Usagi could be the one but that could be my opinion from the use of the English word Princess…) It just adds to the feeling of hopelessness in Kakeru’s grasping for a dream that can’t truly take form. I agree Himeko is meant to be *Kakeru’s* true Kaguya-hime (and thanks as always for the name bit!!). However, for the viewer the identity of Kaguya-hime remains nothing but a figment of mythology, glittering on the horizon just like Luna’s magic Himeko sees from space. I just re-watched the movie the other night, and I’ve gotta stick to the boring and obvious answer that it’s Luna; especially given that in the Legend, the Princess never marries and has to leave the earth.